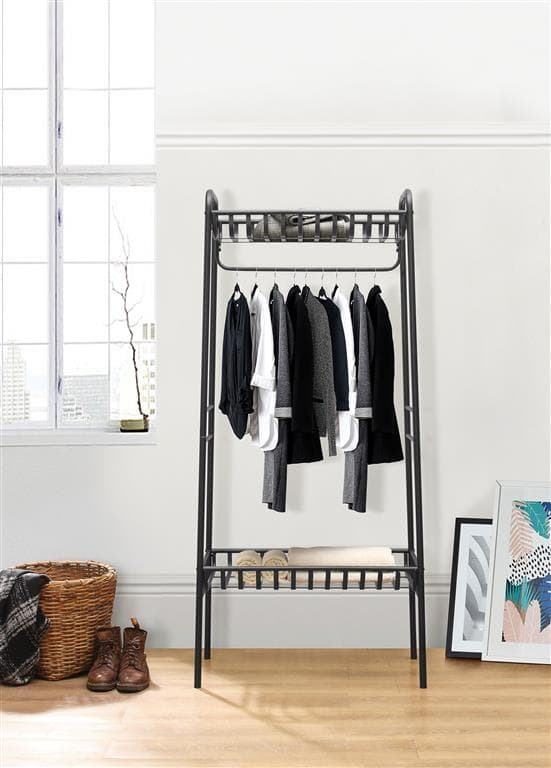 This eye-catching industrial style clothes rail has a striking design and is a great way to display clothes. 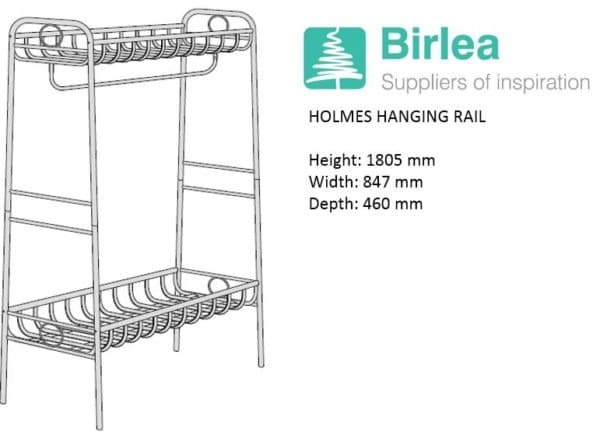 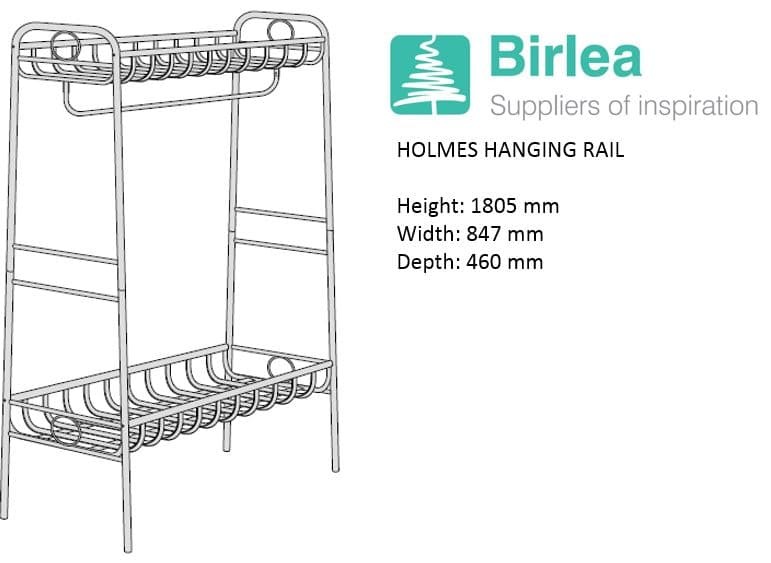 The Holmes features a hanging rail and a lower and upper shelf, it is a really useful storage feature for the hall, bedroom or guest room. 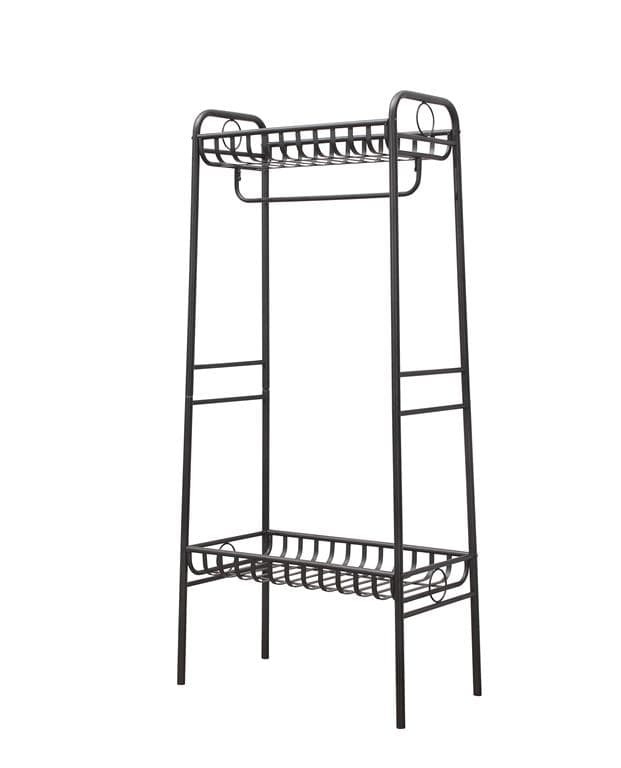 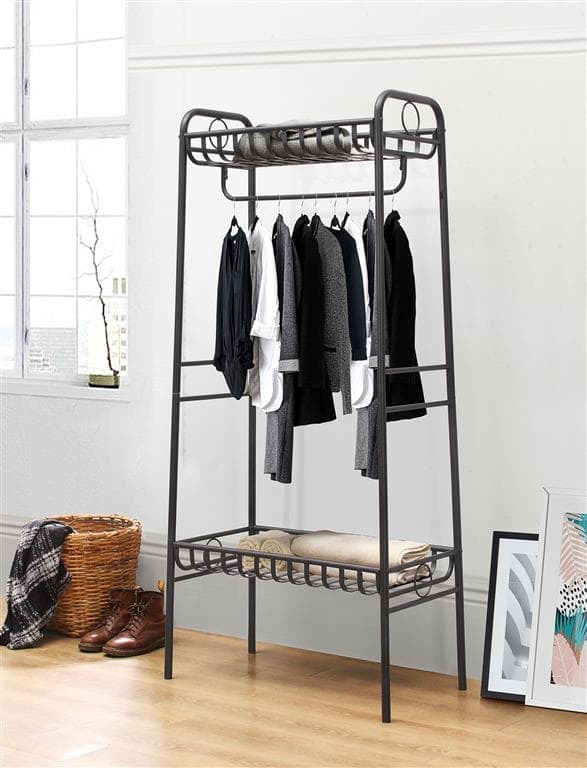 This Strong and sturdy clothes rail is available in black or cream and is ideal for a quick and easy storage solution.